PRP (platelet-rich plasma) therapy represents the latest advancements in aesthetic medicine. This minimally invasive procedure utilizes specific types of blood cells that are known for their wound healing properties. PRP has long been used in sports medicine, but this innovative treatment provides cosmetic benefits as well. PRP therapy is effective at rejuvenating the skin, reducing acne scarring, and stimulating hair growth for men and women suffering from hair loss. The procedure is quick, convenient, and requires virtually no downtime. PRP harnesses the reparative and regenerative properties of blood platelets found in the patient’s blood. These platelets contain growth factors, which play an important role in healing. Whenever the body sustains an injury, growth factors repair tissue, increase cell turnover, and jumpstart the production of collagen and elastin. This is what has made the treatment so effective in sports medicine. When used for cosmetic purposes, it can rejuvenate the skin from within and stimulate dormant hair follicles. The procedure begins with a simple blood draw. The patient’s blood is then spun in a centrifuge to isolate platelets. The platelet-rich plasma is then extracted and injected into the treatment area or applied topically, depending on the type of procedure recommended. This quick outpatient treatment can be performed in under an hour, allowing patients to resume their regular schedule easily. Facial Rejuvenation: This is one of the most popular cosmetic uses of PRP. It is frequently performed with other procedures – such as microneedling or fractional laser – to enhance the overall results. Acne Scars: It can be frustrating to deal with stubborn scarring long after acne breakouts have cleared. PRP is effective at encouraging the production of collagen and elastin at the source, which helps reduce the appearance of acne scarring and post-acne hyperpigmentation. Treatment for Hair Loss: Hair loss is a common cosmetic problem affecting both men and women. While hair restoration surgery is an effective solution, not everyone has time for the recovery period. Some patients are also simply not candidates for surgical hair restoration. PRP offers a much less invasive alternative to treating hair loss. When injected into the scalp, the PRP nourishes hair follicles, prolongs the growth phase, creates ideal conditions for future hair growth, and reduces thinning. This treatment is also a great complement for those who take medication to boost hair growth. Dr. Cangello’s signature High Gloss treatment combines the power of fractional CO2 technology with the regenerative effects of PRP to reduce fine lines and wrinkles, minimize the appearance of irregularities of the skin surface, tighten skin and boost elasticity. High Gloss is a beneficial skin rejuvenation treatment to improve texture, tone, and create vibrant skin. Our plastic surgeon recommends this technique to help patients look their best in everyday life and especially for those who are getting ready for an important event. 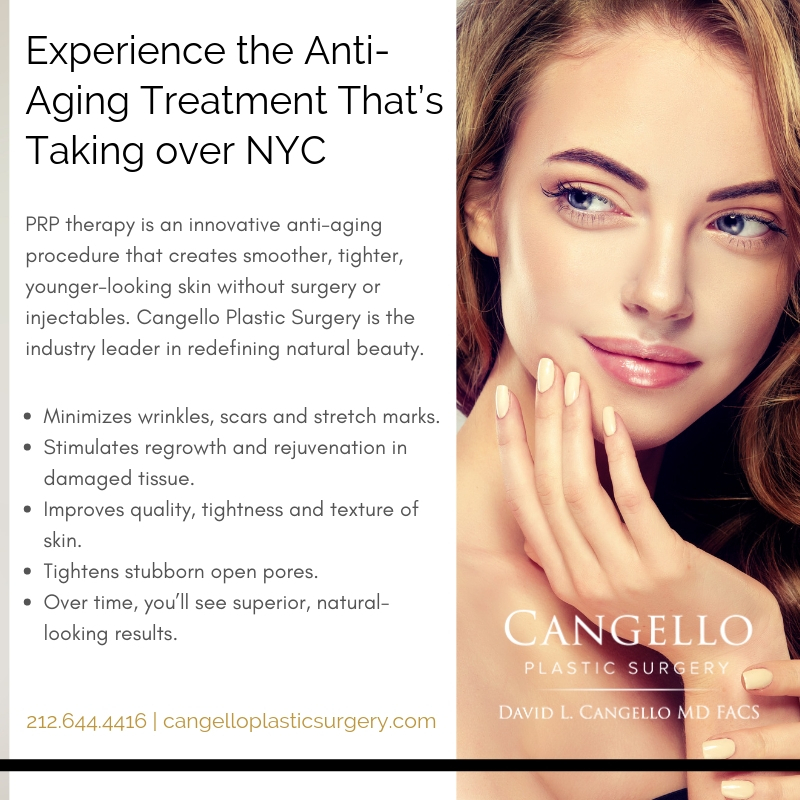 The week of or, ideally the week before your scheduled event, visit Cangello Plastic Surgery for your High Gloss fractional CO2 laser and PRP treatment. The powerful effects of the laser “micro peel” – which is a less aggressive treatment than traditional laser skin resurfacing – combined with the growth factors of PRP create ideal results with less downtime. By the time you are scheduled to make your grand entrance, you’ll have beautiful, glowing skin. 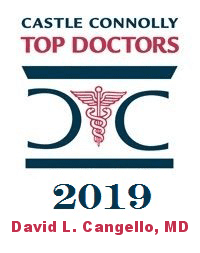 At your initial consultation, Dr. Cangello creates a personalized treatment plan. For those with extensive skin irregularities, a combination of PRP and fractional CO2 laser treatment is often the best way to achieve optimal results. Dr. Cangello can also recommend professional skincare products that will help prolong the results to promote long-term facial rejuvenation. Recovery depends on the specific treatment received, but in general, PRP requires very little recovery. After injections, patients may experience redness or swelling at the treatment site shortly after their appointment. These temporary symptoms usually resolve on their own within a day. The High Gloss treatment with a fractional laser may cause redness and puffiness for one to three days. Results from PRP therapy are gradual and start to appear within three to six weeks after the first treatment. Some patients see great results after just one treatment. For optimal results, a series of several treatments spaced four weeks apart is often recommended, especially when treating hair loss. Once your ideal results have been achieved, patients frequently choose to have touch-up sessions once a year. 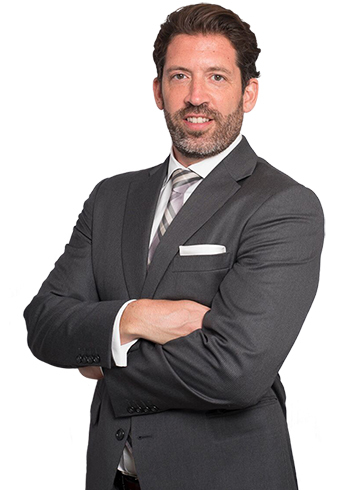 Those considering PRP in NYC are invited to schedule a personal consultation with board-certified plastic surgeon Dr. David Cangello. To learn more about this leading aesthetic treatment, contact Dr. Cangello’s office at (212) 644-4416.